Yesterday morning here in Beijing I awoke and, on the Christianity Today website, I first found out about the death of Nelson Mandela. I then went to the NY Times site to read more. I had the privilege of seeing Mandela from a distance. During his 1990 visit to New York City, his motorcade began right outside the building where I was working at 1 Battery Park Plaza. This was the only time I would see him in person. Why then the profound sense of sadness that I seems to have engulfed me? I am by nature one who often ponders and, at times, broods about things. Even so, I find myself pondering, if you will, my response to Mandela’s death. Moreover, the dignity and patience of the man is a lesson to me here in China. No, patience ought never be an excuse to delay, much less hobble, the pursuit of justice. At the same time, perhaps it is patience, combined with perspective and wisdom, that keeps the pursuit of justice from becoming hurried, and then, at times, itself unjust, certainly unfettered and unrealistic and then unrealized. What Mandela learned on Robben Island astounds me. Would that people everywhere, not only leaders, learn and emulate the same lessons, but mercifully in less arduous circumstances. Here in the Middle Kingdom how I can complain and be petulant about what in the larger picture are but daily (sometimes hourly) inconveniences. As I hope my work here will continue for a few more years as this amazing country continues to live, move and have being, I know that I must temper my strengthening desire to see things change now, with the understanding that the change, reform, call it what you will, I want now may reflect little more than my own, personal felt needs and desires, and does not reflect the longer term and the appropriate desires and hopes of others. My hope and prayer now is that Mandela’s own country, South Africa, will move forward, peacefully and justly, magnanimously. It is a country facing difficult and uncertain times. 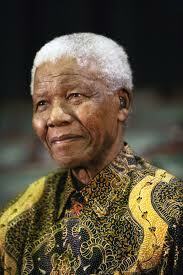 May the life of Nelson Mandela continue to be a guiding light for its journey into the future.